Keith John Moon was born on August 23, 1946, in London, England. He died on September 7, 1978. At 12, Moon joined the Sea Cadet Corps. The Sea Cadet Corps is a national youth organization for boys and girls aged 12 to 18. In the Corps, Moon learned to play the bugle then, later, drums. Moon's first pop group was The Beachcombers. While in The Beachcombers, Moon attended an audition as drummer for another local group, The Who. Moon gained a reputation as the wildest member of The Who. Tales spread about him wrecking hotels, cars, planes, and drums. 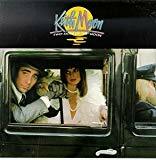 In addition to touring and recording with The Who, Moon released a solo album, Two Sides of the Moon, and appeared in the films That'll Be the Day and Stardust. On September 6, 1978, Moon attended a party hosted by Paul McCartney in tribute to Buddy Holly. At the party, Moon announced his engagement to 28-year old model, Annette Walter-Lax. After the party, Moon and his fiancee went to the apartment owned by Harry Nilsson in which Moon was staying. Unable to wake him the next morning, Walter-Lax called a doctor. Keith Moon died before the ambulance arrived.